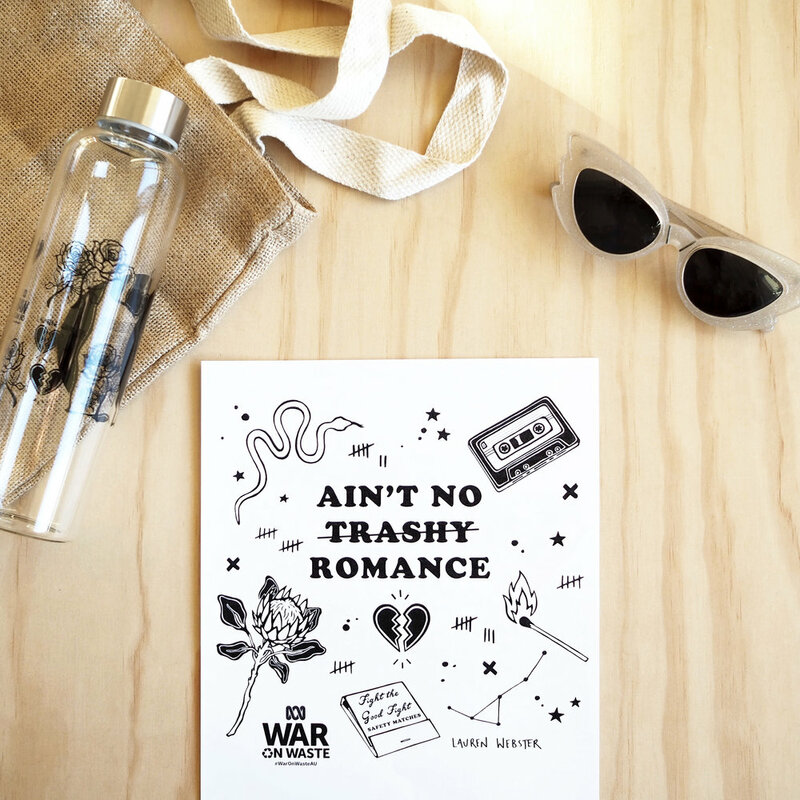 In August 2018 Lauren Webster collaborated with ABC TV to promote the Series 2 release of the War On Waste. Lauren created a series of artworks to adorn re-useable glass water bottles and eco-freindly tote bags. The concept behind the artworks created was a playfully romantic narrative about loving and cherishing the objects we own, keeping them long term and re-using them over and over again rather than the trashy alternative of single use items. The artwork covered glass bottles and tote bags were then gifted to people across Sydney and Melbourne who pledged to reduce their own impact on the environment.